So, I took a trip to Wildwood, NJ with some of my family this week. Boardwalk food has really exploded the past dozen years or so, I think because most people aren’t thinking healthy when they are on vacation. And guess what? Neither am I! At first I wasn’t sure I would like them. I am not a huge funnel cake fan (I get one and can only eat about a quarter of it before I get sick) and I am not a huge cookie fan. However, after much prodding from my relatives, I ordered them from the booth on Morey’s Pier. As you can see they are caked with powdered sugar but the heat coming off these puppies would have melted my tongue right out of my mouth, so I had to hit a few rides (watching my little cousins) before I could eat them. Finally, outside the kid sized big swing, I bit into one! 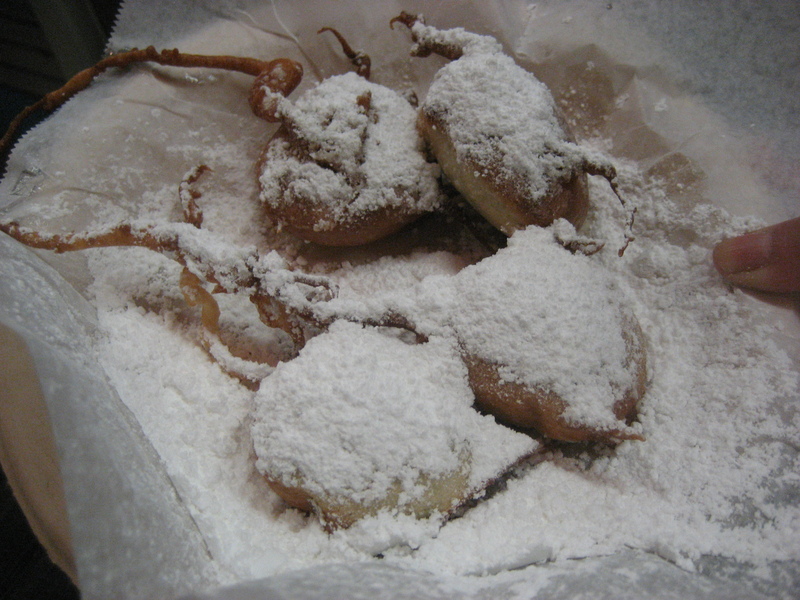 The inside was cakey, the filling of the cookie was chewy and the funnelcake was delicious. Of course as soon as I took a bite, I was covered with powdered sugar, but that was alright by me. I realized if I ate all four, I’d be sick, so Judy helped me eat the last 2. Do I recommend them? Sure, if you like either cookies, funnel cake or sugary delights. They were not overly greasy, which was nice. I hate eating stuff and having to practically take a shower to get all the grease off of me. Would they have felt different in my stomach if it was ungodly hot and humid? Maybe. But, I say go for it. 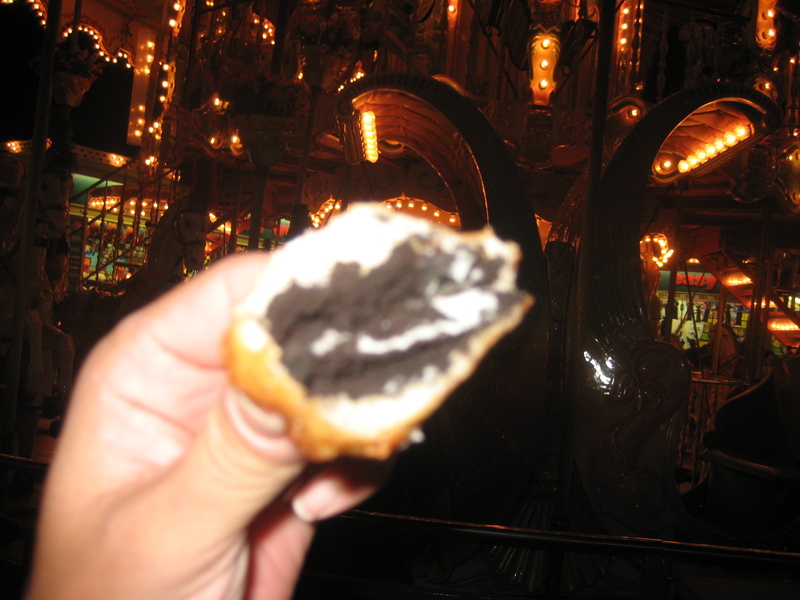 Posted on August 4, 2010, in boardwalk food and tagged battered cookies, boardwalk food, fried oreos, wildwood boardwalk. Bookmark the permalink. Leave a comment.